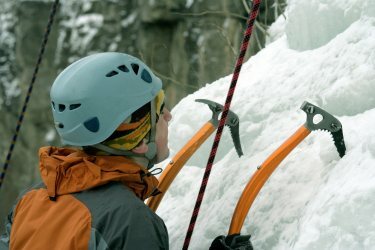 One of the best-kept secrets on the North Shore is ice climbing! In the winter, the North Shore's famous waterfalls freeze over. North Shore rivers carve stony canyons deep into igneous rock. Water seepage along the walls forms stalactites, pillars, and curtains of ice perfect for climbing. Cascade Lodge and Restaurant is the perfect basecamp for your ice climbing expedition. Warm up and dry out next to a cozy fire, or swap adventure stories in our pub!